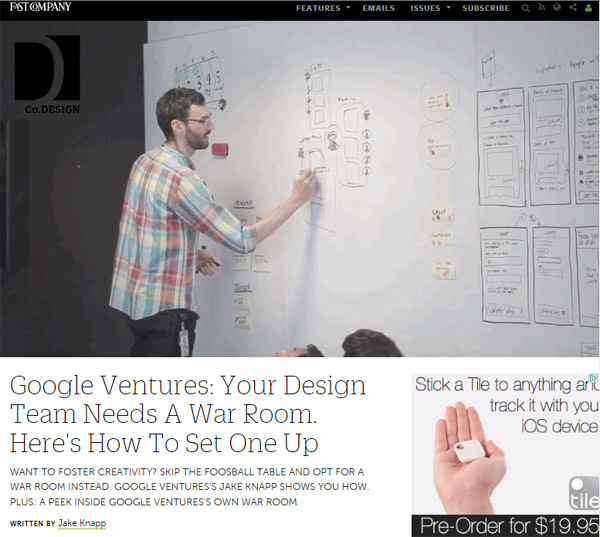 Rich Design Space or War Room? Jake Knapp at Google Ventures suggest that if you want to foster creativity in your design team, throw out the football table and make a War Room instead. What he suggests is very similar to our Rich Design Space. What to say other than : Welcome to the club! 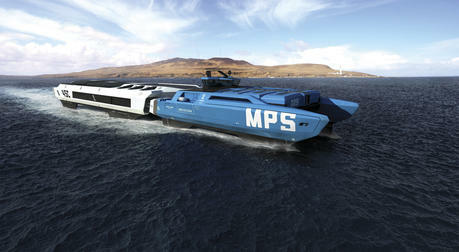 The Norwegian Design Councils Young Talent Award second and third place was won by two SOD projects. Martin Skogholt Hansen and Mikael Johansenwon the second price for their conceptual project for more efficient supply vessels for the offshore sector. 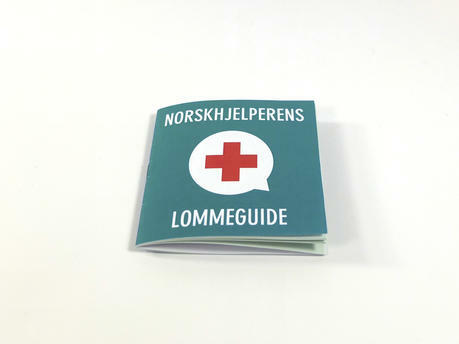 Elisabeth Skjelten won the third price for her projectfor the Norwegian Red Cross for learning Norwegian language to immigrants. 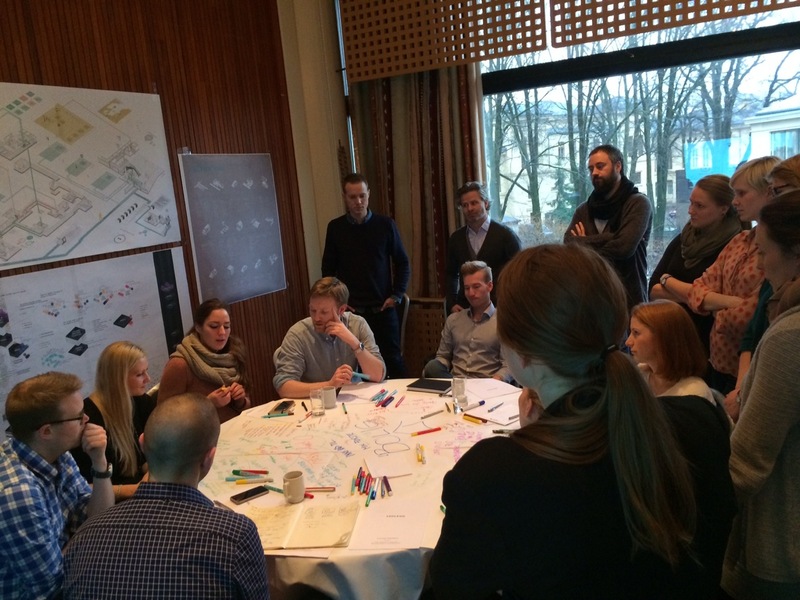 Two of our former students, Jan Kristian Strømsnes and Maren Moe Stokke were invited by BEKK Consulting (www.bekk.no), by Christin Staubo in the department of Service Design, to presented SOD at their yearly competence day. Both of the designers currently work for the technology and healthcare company Dignio (www.dignio.no), and use SOD combined with Service Design in their daily work. The presentation started with an introduction to the SOD approach followed by a workshop where the consultants got to learn tools such as timeline and ZIP analysis. Further on they got an introduction to the mindset of systems thinking driven from a design perspective and how to apply efficient tools for ideation and mapping. Designers with a background within SOD shared their oppinions and insights of using SOD in client relations. This was provided from designeres in organizations such as Bouvet, Hareide Design, Beyond Risør, Halogen and PhD program at AHO. The design company HALOGEN has for some while used SOD in many of their projects. So far they have used it with over twenty clients. Reporting back to us at AHO from design business out there is really encouraging. Though we always have companies and organizations as partners in our research and educational work, it makes a difference when design companies start to sell such deep processes and when customers have matured to see the value in such work. Also their application contributes to the richness of approaches and variations in SOD. None the least they have experienced some pit-falls that are hard to detect in an academic setting. 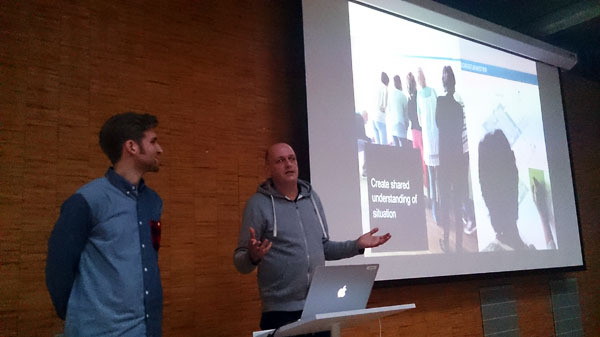 Jonathan Romm, head of design and Adrian Paulsen presented their experiences in the guest lecture.